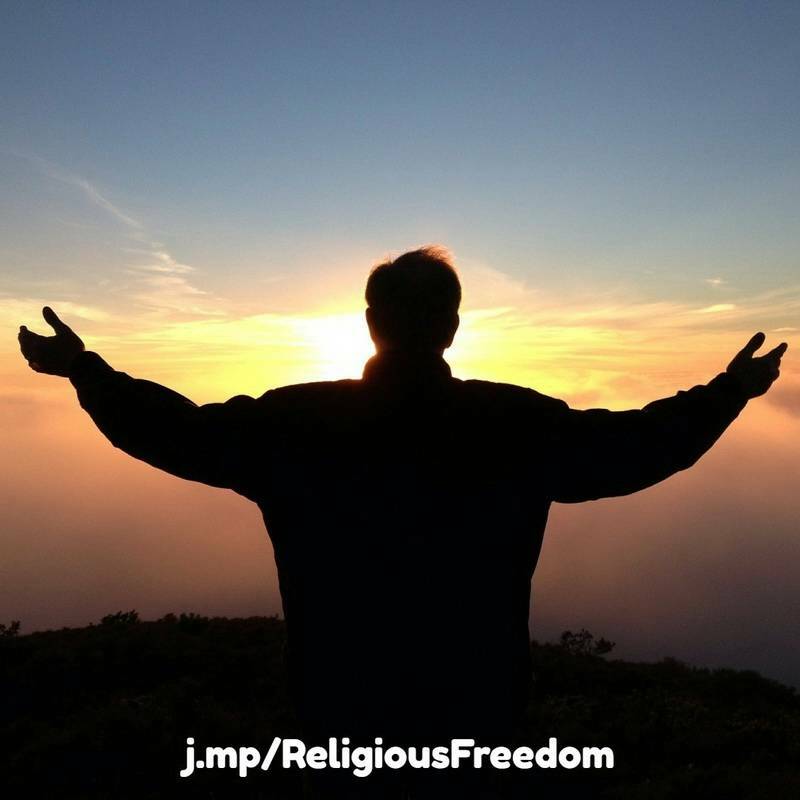 The concepts of religious freedom and tolerance – allowing individuals to believe in, practice, and promote their religion of choice without repercussions – are legitimate and worthwhile. militate against efforts to establish guidelines or laws governing such issues as unethical recruitment tactics, fraudulent fund raising, and other unlawful acts. Aided by cult apologists (e.g. organizations such as CESNUR, or individuals like J. Gordon Melton and the late Jeffrey K. Hadden) — and even certain governments (notably, the United States of America) — these movements have also used the concept of “religious freedom” in trying to force sovereign countries to accept them as legitimate religious organizations. The freedom of individuals to believe in, practice, and promote the religion of choice without (government) interference, harrassment, or other repercussions – as long as practices based on, or resulting from, those beliefs do not break the law (e.g. do not encourage or result in fraud, tax evasion, murder, terrorism, acts designed to undermine the government or the constitution, the use of unethical persuasion tactics, etcetera). The practice of discouraging religious freedom and the freedom to express and/or promote all or certain religious beliefs – with repercussions ranging from discrimination and harassment to prevention and prosecution (by legal and/or illegal means). Does not cover legitimate legal measures designed to prevent and/or prosecute illegal practices such as fraud, tax evasion, murder, terrorism, acts designed to undermine the government or the constitution, the use of unethical persuasion tactics, etcetera. a) Refusing to acknowledge and support the right of individuals to have their own beliefs and related legitimate practices. b) Also, the unwillingness to have one’s own beliefs and related practices critically evaluated. Rejecting a movement’s claim to be a ”religion” when there is sufficient evidence showing religion is used as a cover (e.g. the Church of Scientology). Acknowledging and supporting that individuals have the right and freedom to their own beliefs and related legitimate practices, without necessarily validating those beliefs or practices. Cults and their defenders frequently charge that anticult- and countercult professionals are “anti-religion.” The facts, however, show otherwise. Anticult organizations and individuals generally fight cults for reasons other than theological ones. Their prime concern is with the sociological (behavioral) aspects of cults. Countercult organizations and individuals for the most part have an evangelical, Christian background, and primarily oppose cults for religious/doctrinal reasons. Since they operate from different perspectives, anticult and countercult professionals do not always agree on what constitutes a cult. After all, the former evaluate movements using sociological and psychological criteria, while the latter do so using theological standards. 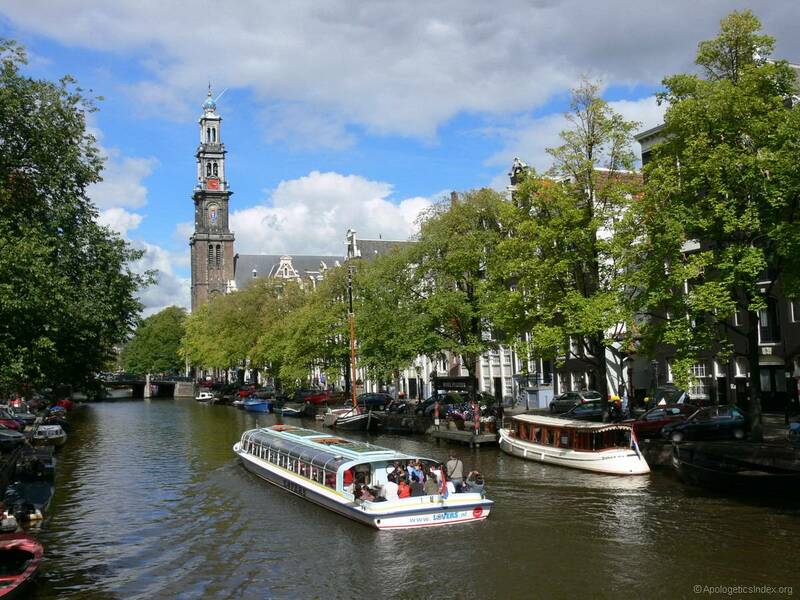 The Westerkerk in Amsterdam as seen from the Prinsengracht. The Netherlands enjoys a very high degree of religious freedom. It should be noted that countercultists generally are more apt to also look at a movement’s sociological aspects, whereas non-Christian anticultists are – understandably – not as willing to include theological considerations. Such baseless claims illustrate the revisionist tactics used by cults and their supporters. Under the guise of promoting “religious freedom,” they have often launched vigorous attacks against organizations and individuals associated with anticult- and countercult movements. Apologetics Index is part of, and supports, the countercult movement. It also supports the legitimate concerns and lawful actions of the anticult movement. In the context of Christian theology, apologetics is the logical presentation and defense of a particular belief system. Thus, Christian apologetics is the intelligent presentation and defense of the historical Christian faith. The publisher and team members of Apologetics Index support the right to freedom of religion in thought and expression, but also the right and freedom to present relevant information about religions, movements, leaders, doctrines, and practices in order to help people make informed decisions about various belief systems and world views. In our case, that information is provided from an orthodox, evangelical Christian point of view. Such information includes pointing out significant doctrinal differences between historical Christianity and, say, religions that claim to be compatible with it. In addition, we believe it is important that people know how to tell apart destructive cults and abusive sects from other religious movements. Too, we also address spiritual abuse and other issues within abusive churches. Those who deny others the right to hold and express religious views that challenge the validity of competing and/or contradictory religious views, in so doing promote religious intolerance. Supporting legitimate legal actions against unlawful practices (e.g. fraud, tax evasion, murder, terrorism, acts designed to undermine the government or the constitution, the use of unethical persuasion tactics, etcetera) does not constitute religious intolerance. The concept that society includes and allows for a plurality of religious beliefs, movements, and expressions. The theory that there are more than one or more than two kinds of ultimate reality and/or truth – and that therefore more than one religion can be said to have the truth (way to God, salvation, etcetera). Pluralism is an affirmation of the validity of every religion, and the refusal to choose between them, and the rejection of world evangelism. Postmodernism seeks to stifle truth claims with cultural pressure and speech codes. But, as legal scholar Russell Hittinger reminds us, these attempts are in reality a tacit acknowledgment by postmodernists that they can’t win in open debate. These attempts should only encourage us to press home our case lovingly, but vigorously. At the very least, the attempts by cults and their defenders redefine any of these concepts in such as way that their beliefs and actions can not be examined, evaluated, and countered, should be be challenged by Christians and non-Christians alike. The First Amendment and Freedom of Religion This is a classroom teaching resource provided by the Southern Poverty Law Center — a (secular) human rights organization that tracks hate groups and their activities. However, the material could easily be adapted to other nations as well. This entry was written by Anton Hein, founder and team member of Apologetics Index.